High-grade green tea should be steeped in water at a temperature of about 80 degrees Celsius, which will guarantee a liquid with a bright green color and a lively refreshing flavor. Water at too high a tempera?ture will spoil the tender leaves by making them over?done and turning them yellowish. 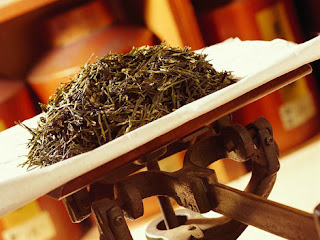 Ordinary green tea, red tea and scented tea, are better steeped at a water temperature just below boiling. Oolong tea and Pu'er tea, which have relatively large and coarse leaves, should be steeped in 100-degree-Celsius boiling water. Generally speaking, tea is best served with not more than three infusions. This is because usually the first infusion releases 50 percent of the soluble com?pounds from inside the leaves, and the second one re?leases about 30 percent. Therefore, when it goes on to the third infusion, there is less than 20 percent of soluble substance left to be retrieved.